The new logo stands out from the crowd with a dynamic use of the colour red, which is responsive to retail needs, pure and simple. Its bold and confident, and the execution is a powerful stamp of inclusion and community. The previous name and logo were as boringly institutional as it gets; a long prescriptive name shortened into an acronym and nastily typeset in an insipid serif. I think I prefer to see really poor logos with Comic Sans and swooshes than things like this, that come across as actual attempts at logo design. Anyway, enough with beating the old logo. The new name is much better with the key word "Retail" in there followed by "Council" which is a cool word because it makes you think of things like Jedi Councils. The new icon… I'm on the fence about it; I like the individual shapes that make up the "C" but I dislike the negative space shape they create in the middle, like a stretched out starfish. The wordmark is fine; neither good nor bad, just contemporary enough to not look out of place. In application, not much to see or get excited about or offended by. Fairly safe work that does improve the presence of the organization. (Est. 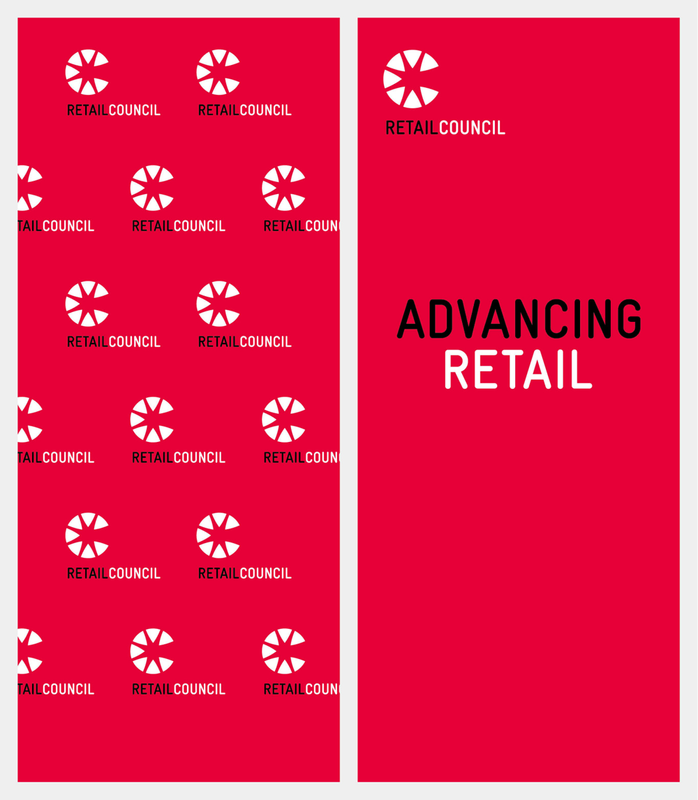 2006, formerly Australia National Retailers Association) \"The Retail Council is the voice of Australia's top retailers driven to achieve sustainable growth of retail in Australia for the benefit of the consumer, the industry and the economy. Formed in 2006, the Retail Council represents members committed to advancing retail in Australia, fostering economic growth and supporting job creation. They are retail businesses that lead the industry delivering to customers across all types of retail goods and services and are leading employers who contribute to local communities and regional development and strongly interrelate with other Australian industries. As an authoritative voice of Australia's top retailers, the Retail Council contributes to the development and support of public policy that would boost productivity, support employment growth, foster a competitive environment and ultimately make the sector stronger.\"